Welcome to Aluminum City. 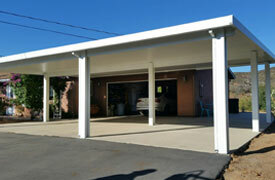 We are San Diego's preferred choice for custom patio covers, patio rooms, carports, window awnings, and door hoods. 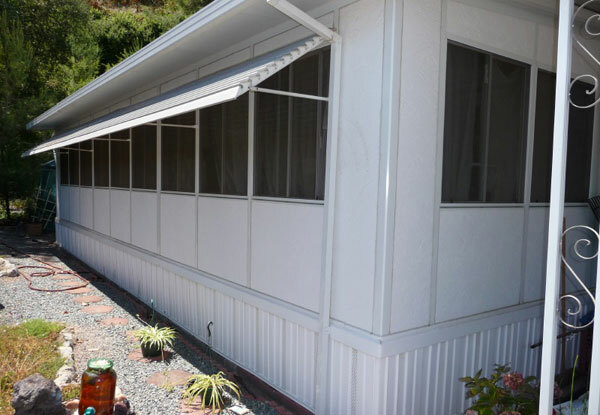 For over 50 years, we have sold, designed, installed, and replaced these affordable, long lasting, and high quality aluminum shade products for homeowners, retirement homes, law enforcement departments, apartment complexes, commercial offices, and more in San Diego. In each case, our experienced patio cover experts helped our clients determine which shade system would best meet their needs and budget, and installed their selected system according to the highest of standards for craftsmanship, durability, and quality. Aluminum City always aims for 100% customer satisfaction among its San Diego clients. To achieve this, we prioritize what we know to be important to our customers: value. That's why we provide superior services and high-quality products at some of the best prices available in San Diego. We are proud to be a factory-authorized dealer of Four Seasons Building Products, one of the largest and most respected manufacturers of patio covers, carports, and patio room enclosures in the country. Four Seasons Building Products are known for their premium-grade aluminum, precision construction, longer lasting paint (because they are the only ones to bake on a primer prior to baking on the paint), and limited lifetime warranty. Whether you know the exact shade system you want installed or wish to explore a variety of aluminum patio cover and awning options, Aluminum City will help. We offer our San Diego clients free on-site consultations with no obligation and honest upfront estimates. Our business hours are Monday through Sunday, from 7:00AM to 10:00PM, and we are licensed, bonded, and insured. Transform an overly sunny area into a shady retreat by having Aluminum City custom build and install a solid top patio cover. Since 1963, San Diego customers have chosen Aluminum City because our patio covers are built to last. In fact, patio covers that we installed nearly 50 years ago are still looking beautiful and standing strong. Made out of high quality aluminum and given a layer of primer before any paint is applied, our patio covers manufactured by Four Seasons Building Products are longer lasting, require virtually no maintenance, and are highly resistant to rust, water damage, flaking, insect infestation, and rot – all issues that can be seen with wood, iron, and fabric patio covers, or even inferior aluminum products. 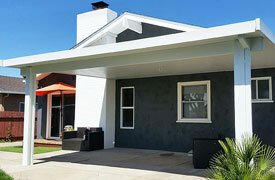 To ensure we always give our San Diego clients the best return on their investment, we apply the industry's best installation techniques and provide a lifetime limited warranty. To learn more about our affordable and long lasting patio covers, call Aluminum City. We provide free on-site consultations anywhere in San Diego; call us today. 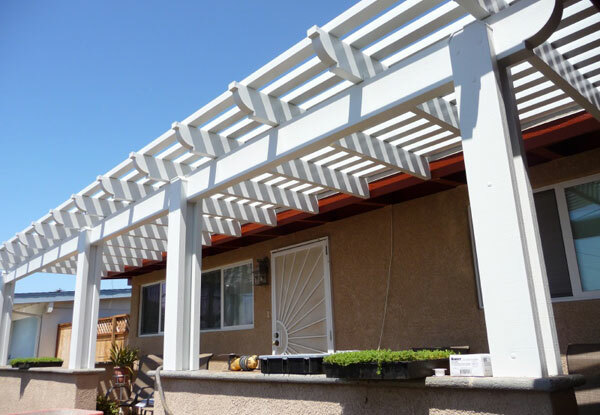 Aluminum City's lattice top patio covers (also referred to as pergolas) are a beautiful way to enhance a backyard, terrace, garden, or park in San Diego. They create an inviting space that feels open while also providing cooling shade. Our lattice patio covers are crafted using top quality aluminum from Four Seasons Building Products, one of the nation's largest manufacturers of aluminum outdoor living products. Their line of custom patio covers includes smooth and wood-grain texture, four end-cut designs, a variety of column posts, and six color options. As with our solid top patio covers, lattice top patio covers are termite resistant, weather proof, and resistant to rusting, rotting, and peeling. Call to learn more about our lattice top patio covers for your San Diego home or business today. 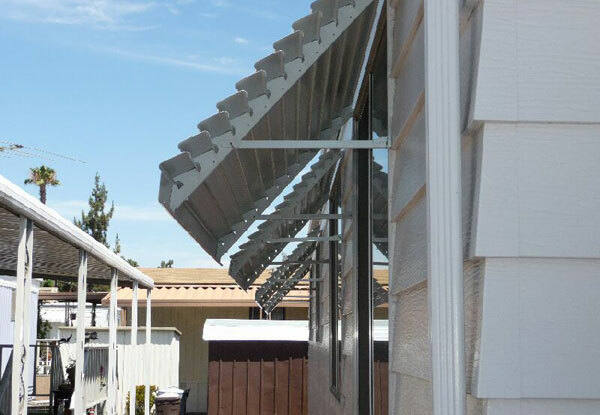 Since 1963, Aluminum City has provided customers in San Diego with commercial and residential window awnings that are affordable, long lasting, and low maintenance. Offered in a panorama style with 20 beautiful colors to choose from, our window awnings provide dimension and curb appeal to any San Diego home or business. Our window awnings are not only attractive, but also extremely effective at blocking out the sun's hot glare. 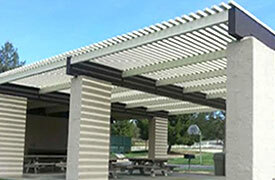 They feature overlapping horizontal slats, which are installed at a 45-degree angle to provide optimal shaded protection. By installing Aluminum City's window awnings, you can significantly reduce the amount of sunlight that enters your home or business; lower indoor temperatures; potentially lower energy bills; and protect your carpet and furnishings from sun-related fading. Call the professionals at Aluminum City: we look forward to providing you with a free window awning consultation in Escondido, Chula Vista, Poway, Rancho Bernardo, and surrounding San Diego areas. 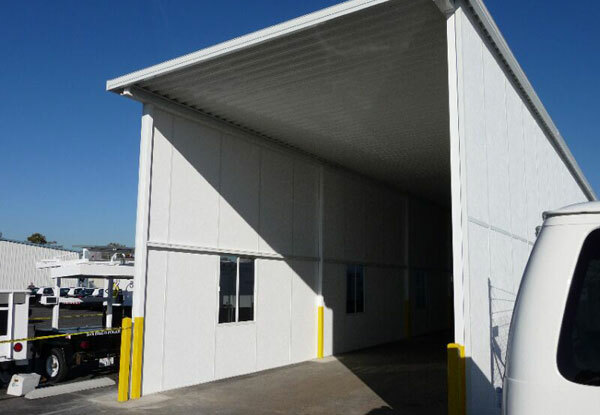 Aluminum City's carports are an affordable way to shelter cars, trucks, equipment, and other belongings from the sun's ultraviolet rays, harsh weather conditions, and more. Made out of high quality aluminum from Four Seasons Building Products, our carports are more durable and longer lasting than any others on the market today. Our experienced professionals are able to attach them to your building or construct them as freestanding structures. Carports can be built to nearly any dimension, making it possible to accommodate one car or one hundred cars. 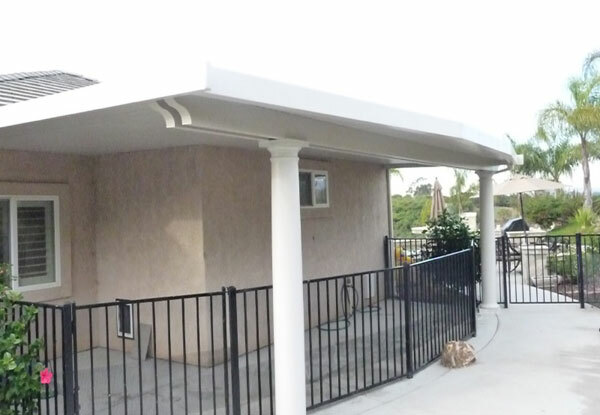 To learn more about our customizable carports for San Diego's residential and commercial customers, call Aluminum City today. Expand your indoor living space with a California room enclosure. Our insulated patio rooms are the most economical choice for San Diego room additions: they take substantially less time to build and cost just a fraction of the cost of a full remodel. 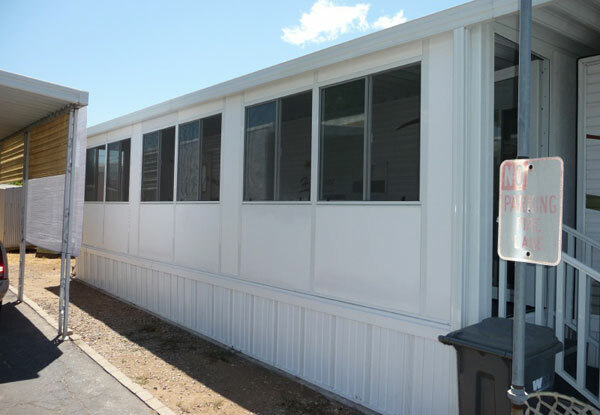 These rooms are made from aluminum walls with two layers of three-inch-thick polystyrene foam, and can feature dual-glazed, low-E windows; sliding glass, glass, and regular doors; and an electrical raceway for ceiling lights and fans. All California rooms are built to code and backed by Four Seasons Building Products' Lifetime Limited Warranty. 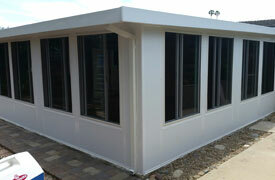 Call today; patio rooms in San Diego can be installed within weeks of the contract date. At Aluminum City, we believe our thousands of satisfied clients, A+ rating from the Better Business Bureau, and high rate of returning customers and referrals are a testament to our ability to meet, if not exceed, customer expectations. Call Aluminum City today to enjoy San Diego's best value for custom patio covers, window awnings, door hoods, patio rooms, and carports. We're open from 7:00AM to 10:00PM, Monday through Sunday. Call us at (619) 562-1652. 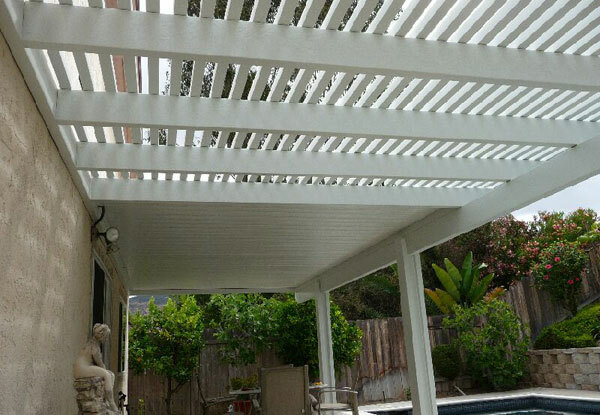 We installed this combination solid and lattice style patio cover in San Diego, CA. The patio cover provides both sun and shade. This is a free standing, aluminum car port with a 3 wall enclosure that we built to house an RV in San Diego, CA. This is a California room we installed in San Diego, CA. We installed it with dual glazed windows to keep the sun's hot glare from heating up their home.